When all is not right with the world and people are saying “somebody’s got to make a change,” no one would think a 14-year old boy would be that one. But that’s exactly what happens in author Pamela M. Tuck’s latest inspirational picture book, As Fast as Words Could Fly: A precocious 14-year old boy named Mason Steele does his part to make a change in the struggle for Civil Rights. The book opens with young Mason hurrying to finish his homework so he’ll be ready to write another letter for his Pa, who is heavily involved in the Civil Rights movement. Pa is very upset that a restaurant has refused to serve some local boys simply because they are black. Mason’s job is to listen to his father’s rambling details about forming another sit-in, and later turning his notes into a business letter for his father. Mason’s letters are more than just good, they’re important to the movement. Soon the civil rights group provides a manual typewriter for their “little lawyer,” and with only his index fingers to guide him, young Mason learns where every key is located and soon types like a pro. Once there, Mason experiences the typical racism of the early days of integration, but when his extraordinary typing skill qualifies him to represent the school, he realizes that he can make an even bigger change. 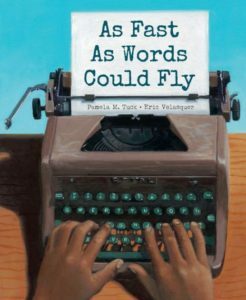 As Fast as Words Can Fly is a thoughtful and inspiring book about change, courage, and how one boy’s sense of personal responsibility can make all the difference. Picture book lovers will adore artist Eric Velasquez’s rich illustrations, which offer up-close-and-personal details like impassioned faces, hopeful expressions, and fingers that fly across vintage manual typewriters. This wonderful book is perfect for the history or citizenship classroom, the Black History Month reading list, and the independent reader’s book-bag. It is a great addition to any picture book lover’s multicultural collection, and it makes a great gift for historians of any age. 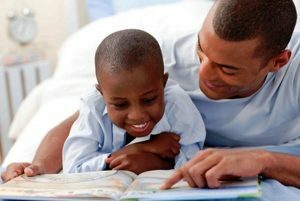 Many of our fondest memories include hearing the voice of our father or mother reading our favorite book to us. 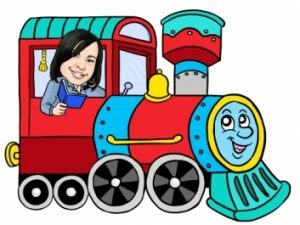 Reading is very memorable experience--especially when you read to your child. Don't miss out on this opportunity. Don’t Miss These Great Posts!